Instructions for use:- Spray the pets mouth twice daily/ when needed. 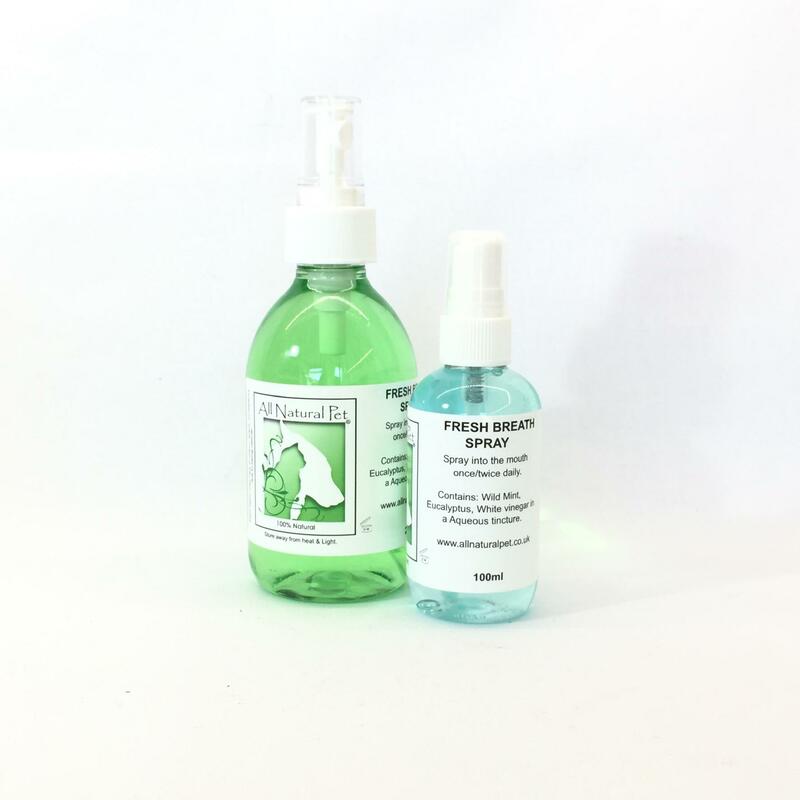 A great way to neutralise bad breath in your pets, a few sprays and they will be kissable once again. Contains- Wild mint, Eucalyptus, white vinegar in a Aqueous tincture.